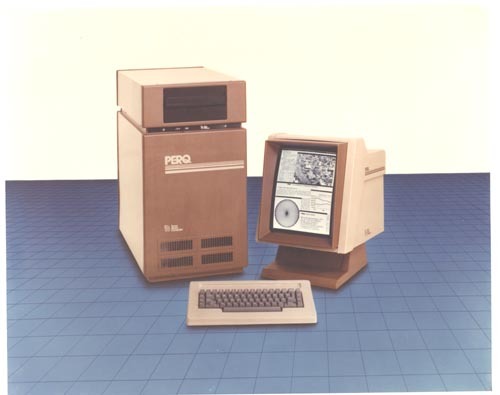 Color image of Three Rivers PERQ system. Shown is a keyboard, display with complex b&w image, controller and computer . Verso white sticker: " Three Rivers Computer Corporation 720 Gross Street Pittsburgh, PA 15224 with Carol Geyer in blue ink:"
also another white sticker with "Three Rivers PERQ"